Like your favourite handbag, parsley can go anywhere. 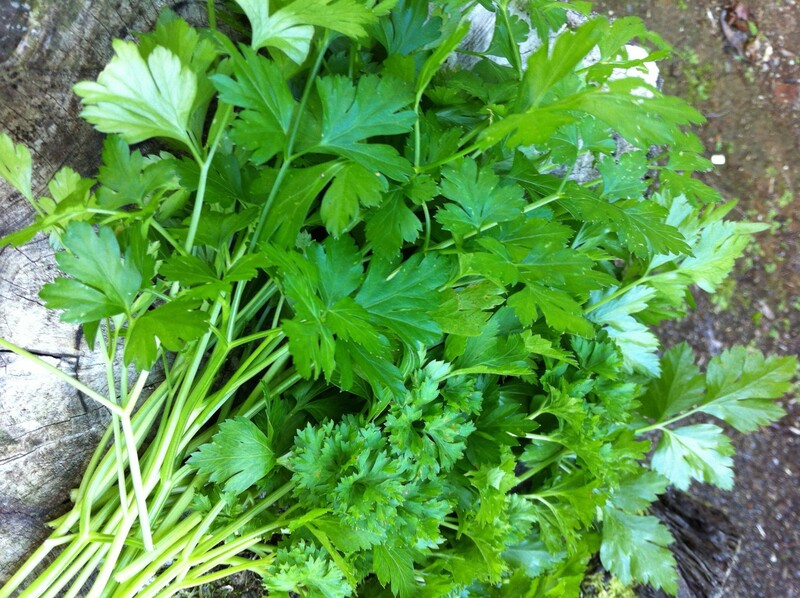 Welcomed for its overt mown grass aroma and breath-freshening taste, parsley is at home in practically any savoury dish. Italian, or flat-leaf parsley, has a cleaner finish than our grandma’s triple-curled favourite and the leaves are tenderer. While it brings a marvellous freshness to dishes when added towards the end of cooking, or used as a sprinkle, it is also valuable in cooked dishes and the fleshy stems add great flavour to stocks and soups; for soups make a bouquet garni by tying together with string several parsley stalks with 2 fresh bay leaves, and several sprigs of thyme. The string makes it easy to remove all the spent herbs at the end of cooking. Some herbs, like marjoram and tarragon, dry well and retain good flavour, but parsley is not one of them. Fortunately it is readily available. I’d like to say that it is easy to grow, but in my experience, that’s not always been the case. The seeds take ages to germinate – weeks – and if conditions aren’t perfect, they don’t play ball, so you can be waiting for nothing, daily cosseting a little punnet of soil and seeds and at the end of several weeks, it’s back to the plant nursery. 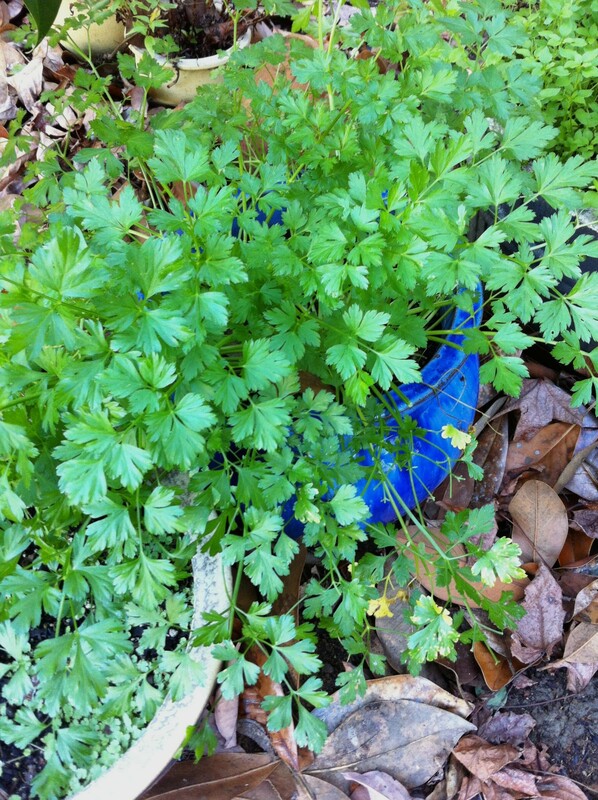 Once you get a healthy parsley patch going, and I find it is better to grow parsley in a shady spot out of the wind, it’ll self-seed. All you need to do until the new babies can fend for themselves is keep them watered, but not waterlogged, and fend off slimy critters who are rather partial to tender parsley stems. Coriander has a pungent cut-grass cat-pee character offset with an intriguing lemony metallic overtone. As you'd expect, it's not to everyone's taste.